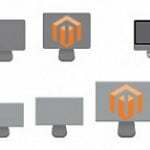 If you are looking for the best Magento 2 SEO extension, check this comparison: Magento 2 SEO Suites Comparison. You will easily configure all important Magento 2 SEO settings with their help. Today, we’d like to introduce you to another tool that offers slightly different Magento 2 SEO features. 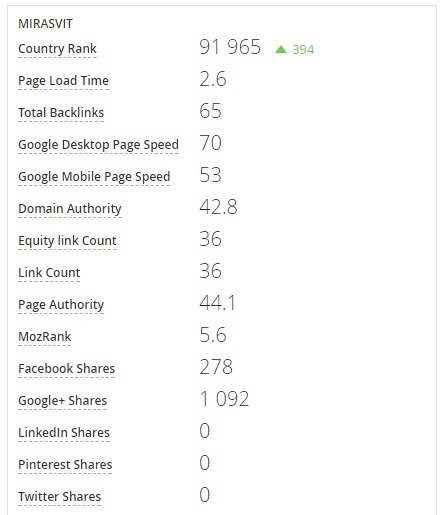 Meet the Mirasvit SEO Monitoring & Reports module. It is designed to provide you with detailed reports on the position of your ecommerce website in search results. Furthermore, the extension allows online store owners to compare their success with competitors. As you might have already guessed, Mirasvit provides a reliable SEO monitoring extension for Magento 2 which may be used in addition to your favorite “Magento 2 add meta tag to head” solution or as a reliable tool for controlling SEO specialists. 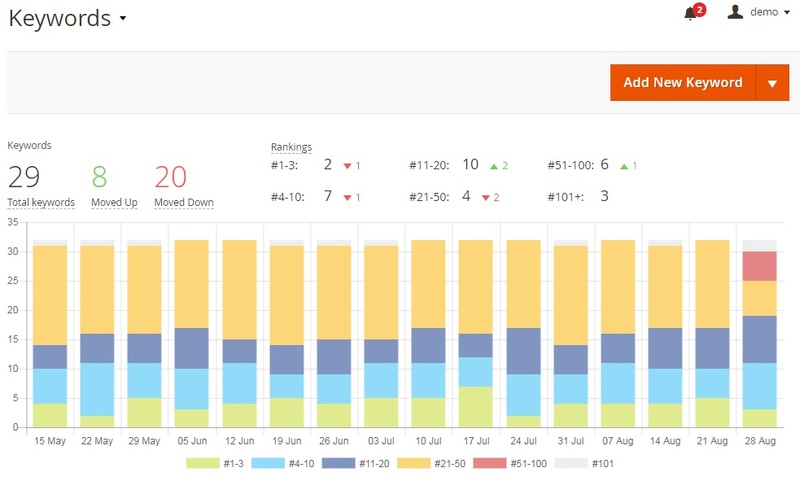 The Mirasvit SEO Monitoring & Reports module supports up to four thousand keywords that can be added for further monitoring of your Magento 2 SEO performance. Besides, you can easily compare your position among SEO results with competitors by creating a list of other ecommerce websites that operate in your niche. Note that the Mirasvit SEO Monitoring & Reports Magento 2 extension monitors your position on Google and provides reports on a daily basis. 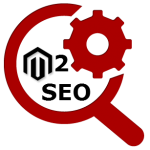 As a result, you can always detect and solve SEO problems on time. Let’s see what other opportunities are available with Mirasvit SEO Monitoring & Reports for Magento 2. Below, we explore the backend section of the module. Go to Stores -> Settings -> Configuration -> Mirasvit Extensions -> SEO Reports. Here, you can choose a base domain for monitoring. Note that ‘Worldwide (google.com)’ is redirected to your server country. Next, you can specify base accept-language. 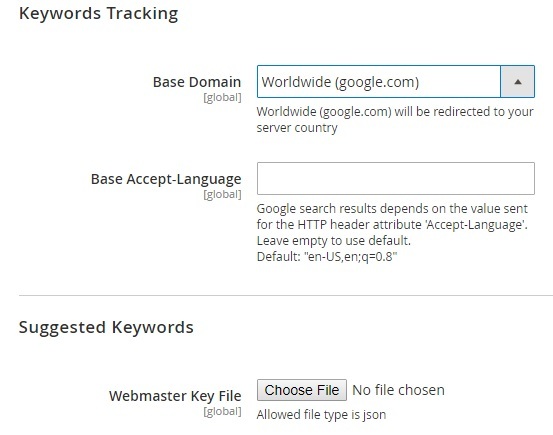 Besides, it is possible to upload a webmaster key file to generate a list of suggested keywords. These are all options in the configuration section of the Mirasvit SEO Monitoring & Reports Magento 2 extension. 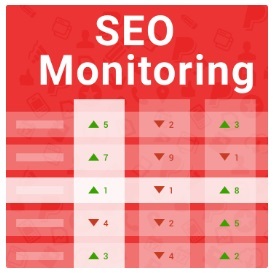 As for monitoring tools and reports, they are available under Marketing -> SEO Monitoring. The module provides 5 sections: Dashboard, Keywords, Domains, Groups, and Suggested Keywords. Let’s explore each one. 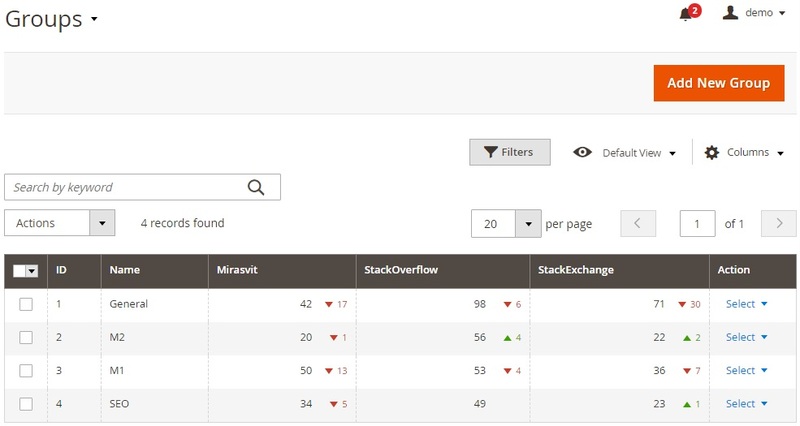 Stackoverflow and Stackexchange – global rank for competitors. Twitter Shares – the number of twitter shares. 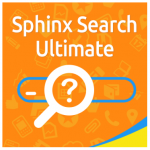 The grid shows each keyword, related group, your store, competitors, language, domain, and the date of the last check and creation. You can delete, edit, or update each keyword individually via the Action column. All these actions can be applied in bulk as well. While adding a new keyword, specify its domain, language, and groups. As for domains, they are gathered in a grid that shows domain name, average position, address, and whether it is a competitor or not. Each domain can be edited or deleted via the Action column. As in the case of the keywords grid, the same actions can be applied in bulk. To add a new domain, type its name and address and specify whether it is a competitor or not. Groups are used for improving your daily routine related to keywords analysis. You can create groups and split keywords between them. All groups are gathered in a grid that shows a group name and the number of keywords in it for each domain. To add a new group, specify its name. 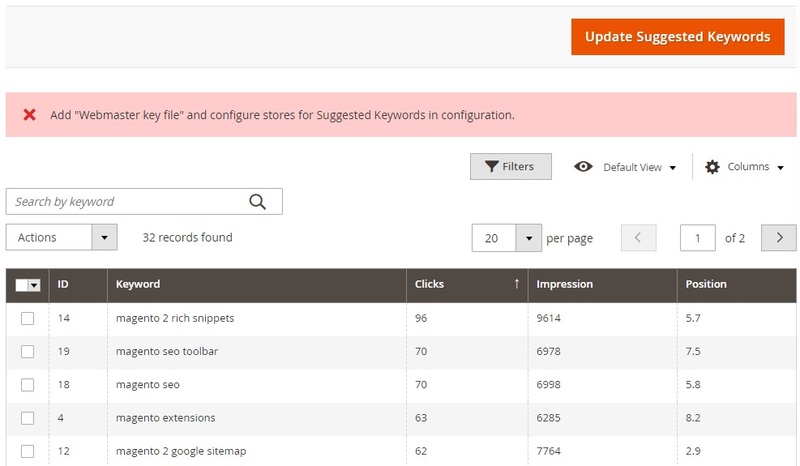 For suggested keywords, the Mirasvit SEO Monitoring & Reports Magento 2 module shows the number of clicks and views (Impression column), as well as displays their position.